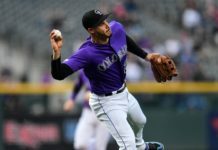 With the month of April officially over, it is time to look back at the historically abysmal offensive pace that the Colorado Rockies offense is producing at to start the 2018 season. The Rockies are 30 games into the 2018 season and hold an even record of 15 wins and 15 losses, but they are not winning because of their bats. Instead, they have produced more strikeouts (277) than hits (219) by a wide margin and are slugging a meager .377 while batting a very pedestrian .224 as a team. To say that their bats have been underperforming is a drastic understatement. 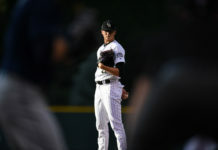 Having more strikeouts than hits through the first 30 games of the season is an awful trend to have, but to make matters even worse, the Rockies just finished up the month of April batting just .222, which is by far the worst month in franchise history, according to Patrick Saunders of the Denver Post. #Rockies .222 batting average in April is by far the worst in franchise history. In Saunders piece, he outlines the worst months offensively for the Rockies throughout their history. You have to go back to the month of May in 2006 to find the next-worst mark and it is a full eight points better than Colorado has batted to start the 2018 season. This is the first time in franchise history that, as a team, the Rockies batted under .230 throughout an entire month. 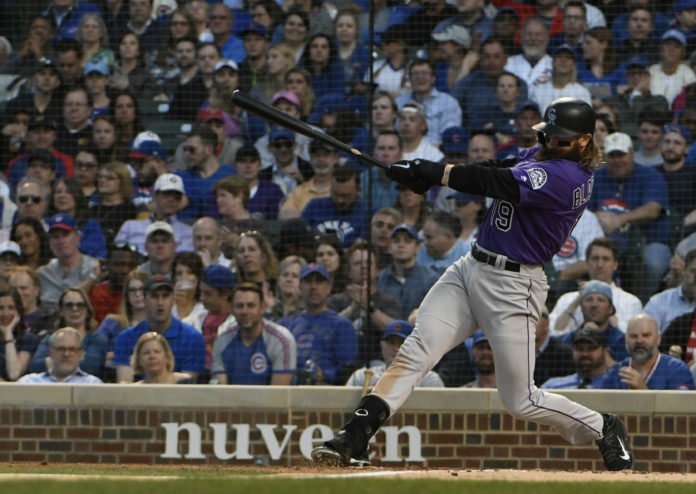 The one reprieve that Colorado’s offense has gotten has been the play of Charlie Blackmon. The Rockies center fielder is hitting .281 and has nine of Colorado’s 34 total home runs. Blackmon has driven in 17 runs while scoring 22 of his own and has looked as dangerous as ever with the bat in his hands. Hopefully, there is help on the way. Colorado has been without a plethora of players for many different reasons. Nolan Arenado missed five games due to suspension while Gerardo Para missed four games for the same fight that resulted in Arenado being suspended. DJ LeMahieu has also missed three games and is currently on the disabled list after straining his hamstring. Thankfully, Carlos Gonzalez — who has been shelved with his own hamstring strain — has returned after pitch-hitting Monday night and hitting a single. For the Rockies to become a true playoff contender, their bats need to wake up and quickly. Even with injuries and missed games, this lineup is too talented to produce at a historically low rate. Hopefully, there is a progression to the mean, if you will, and the Rockies get back to their power hitting and volume scoring ways.